Raisin UK, the savings marketplace, has launched the Raisin Account, as a result of the partnership with Starling Bank. 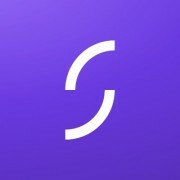 Just under a couple of months ago, Starling released its Banking-as-a-Service offering, and as announced then, Raisin was one of its first clients. The release of this new service means that existing and new Raisin customers will get online banking services integrated into Raisin’s systems, which comes with a digital wallet. This allows customers to share their banking data with third parties to offer the “best” savings rates, introducing an “easier” transfer fund process. Raisin was established in Berlin in 2013, and has since processed €8 billion of savings, with over 150,000 customers across Europe.